The company received a ransom demand from an unknown source on Friday. A 15-YEAR-OLD boy that was arrested yesterday in Northern Ireland in connection with the investigation into alleged data theft from the UK phone company TalkTalk’s website has been released on bail. A statement from the PSNI says that the boy has been released pending further enquiries. The UK phone company received a ransom demand from an unknown source on Friday, following the mass theft of customers’ data from TalkTalk’s website earlier in the week. Detectives from the Metropolitan Police Cyber Crime Unit and the PSNI executed a search warrant at an address in County Antrim yesterday afternoon where the teenager was arrested. He was arrested on suspicion of Computer Misuse Act offences and was taken into custody at a County Antrim police station. A search of the boy’s address is ongoing. 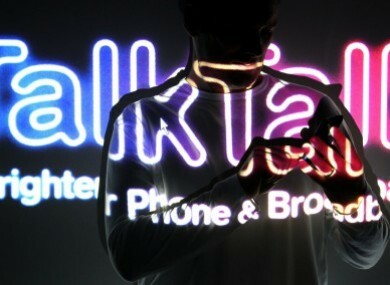 Anyone experiencing difficulty with the matter has been directed towards a help section on TalkTalk’s website. The investigation being conducted by the Metropolitan Police Cyber Crime Unit, the PSNI, and the National Crime Agency is continuing. Email “15-year-old arrested in relation to Talk Talk data theft released on bail”. Feedback on “15-year-old arrested in relation to Talk Talk data theft released on bail”.